Feeling isolated & all alone? Visit our Employees' Employment Law pages, fill in the contact form below or call us for free 24/7 on 0800 HELP ME. Is an employee giving you grief? Don't react on the fly as it could have serious cash consequences later on. 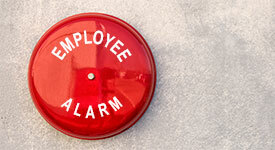 See our Employers' Employment Law pages. Want to find out now when I am next available to attend a meeting to help resolve your employment problem? View my most up to date calendar. We assist employees, employers and employment lawyers with dedicated pages of information for Employees and Employers. Our first consultation is free, so you can call us for a chat on our free 0800 number, 0800 HELP ME (0800 435 763) or email danny.gelb@employmentlaw.net.nz about your situation without the fear that this conversation will utilise your hard earned savings for this initial chat. Subject to our T's & C's. If something has happened to you at work and you need immediate assistance, call me 24/7 for free (even from your mobile phone) on 0800 HELP ME (0800 435 763). You can call me any time, including after normal hours, on the weekends and during public holidays. Should I be unavailable due to being in a mediation, an Employment Relations Authority hearing, a meeting with an employment lawyer or it is after hours, then leave a quick message and I will call you back at my next available opportunity. This will be either during my next break or as soon as I get your message and normal business hours resume. Should you prefer to text me then send your text to 021 77 1919. Unless your physical safety is in danger, then it is best to get advice before responding to any situation. Many employees and employers are initially right in what they have done or in their interpretation about what has happened. However, they have often let themselves down by responding with a communication that has either very much reduced the strength of their case or, they have dug themselves a hole that they now will have difficulty climbing out of. Please be mindful that, if your call is after hours, we may not be able to get back to you straight away. 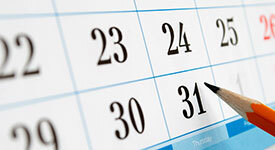 At the latest, we will answer messages on the next business day or earlier if time permits. Answers to common employment law problems can be found on our FAQ page. If your question is not listed here, then ask me directly and I will answer for free. In the past Nine years to the end of March 2019, I have personally concluded 1,185 disputes of which 1,122 have resulted in the parties successfully resolving their differences as a result of our negotiations. This is a success rate of just under 95%. I have also had 46 determinations from the Employment Relations Authority (ERA) of which I have won 32/40 representing employees and 3/6 representing the employer. There has been two matters before the Employment Court representing employees that I have also won both times. I help both employees and employers resolve employment problems. This is achieved either directly or via the other side's employment lawyer or advocate, the Ministry of Business Innovation & Employment, the Employment Relations Authority or the Employment Court. My site is divided into two separate areas, one for employers and the other for employees. One of my points of difference, in comparison to other employment specialists and employment lawyers, is that I am resolution focused and I pride myself on being able to view a dispute from both sides. Encouraging people to focus on a resolution helps resolve the situation in a pragmatic manner without anyone spending a fortune on legal or representation fees. I am able to do this due to my mediation background. I have another site dedicated to this, mediate.co.nz. Once you have viewed the material of interest to you, I would recommend that you then explore what I have to say on the other half of my site. i.e. employees take a read of the employer information and employers take a read of the employee information. Virtually all employment situations can be resolved consensually with the likes of myself, or any other advocate or employment lawyer, provided both sides are prepared to be pragmatic, fair, reasonable and are able to communicate effectively. 3. What will the Employment Relations Authority award me? Eleanor Robinson, Member of the Authority, in a determination issued by her. "I would highly recommend Danny to anyone with employment issues. Quick, efficient and very easy to talk to. Thanks Danny"
"Danny thanks for all your help over the last few months in dealing with my wrongful dismissal. I believe you went way beyond what would or should have been expected"
"Dear Danny, Many thanks for all the super work you did on my behalf. You were the person I could trust when I needed help the most. Regards Sophia"
Feel like a free chat? Just give us a call on 0800 HELP ME (0800 435 763) and we'll be happy to answer any questions you have. 5. What will the ERA award?